The other day I was talking to a fellow homeschooling parent about the Boston Magazine article. She pointed out that the homeschooling families profiled were depicted in the living room, not the kitchen. That’s true. The photo of my family was taken in our living room, as was the picture of Robert Holzbach and his daughters. The cover boldly (if sensationalistically) states: Why the new road to the Ivy League just might lead through your living room. The choice of living room over kitchen means the editors must have gotten the gist of homeschooling at least a little bit. 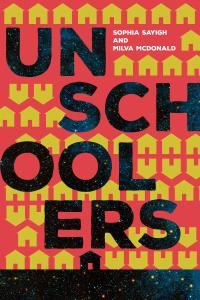 The fact that a positive article about homeschooling made the cover of a major magazine is good news in and of itself, but add to that the absence of the school-at-home stereotype and it’s even better. Homeschoolers opt out of the system, which means they choose the method for educating their children. That’s one of the beauties of homeschooling, but the fact that it can look different for every family also makes it hard to talk about. A family’s approach is often based on their educational philosophy and their values, but it’s as much influenced by everyday realities and the individuality of the kids, parents, and community. The article’s omission of the kitchen table stereotype doesn’t mean, of course, that homeschooled kids never sit at a table and do schoolwork. Hopefully, it means people are beginning to understand that homeschooling is not an isolationist practice that recreates school methods in the home. In my long experience, it rarely takes place in the kitchen (unless we’re cooking, of course). It’s nice to see that the media might finally be getting that, and has graduated us to the living room. Let’s hope they keep it up, and sooner rather than later, we’ll get to the place where the learning really happens. That is, of course, the world.